Home loan, I hate all kinds of loans, but they are critical in your quest to buy your own home with your other half. Unless you are born with a silver spoon, a home loan is necessary as a potential homeowner. However, there are some things that can affect your home loan application without you knowing. In this article, we are here to highlight four things that can affect your home loan (which might surprise some of you). 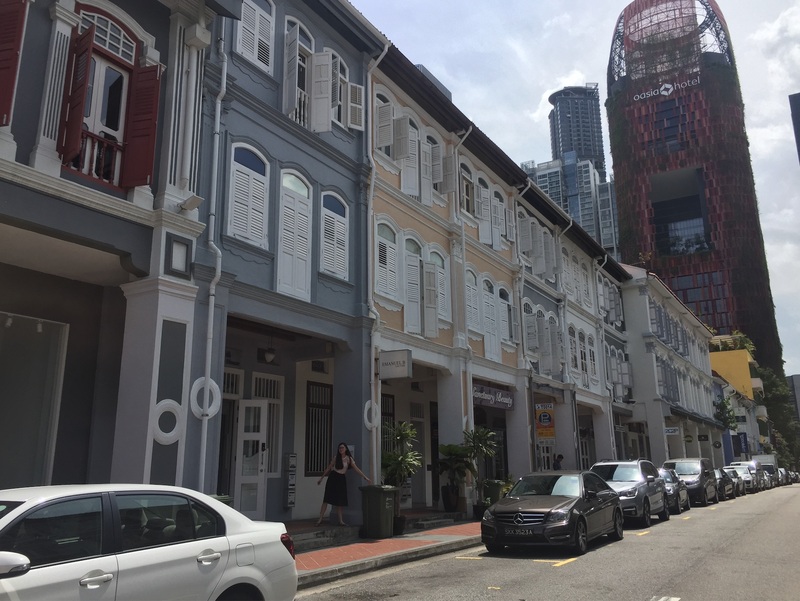 Tras Street shophouses – a blend of new and old – commercial properties such as these are a gem. The Credit Bureau of Singapore (CBS) keeps a credit report of every Singaporean to help banks in Singapore mitigate credit risks. CBS was set up by the Association of Banks in Singapore (ABS) and Infocredit Holdings to build a comprehensive database of consumer credit transactions all retail banks and major financial institutions in Singapore. CBS aggregates all the credit-related information and presents a comprehensive risk profile of a customer to every credit provider, i.e. banks. Whenever you are submitting your application to banks for a home loan, banks will look up for your credit report from CBS. The credit report from CBS would then give a good indication of how creditworthy you are as a lender based on your past lending and repayment behaviour. One key factor that is used from the credit report is your credit rating, which is determined by CBS by analysing your credit behaviour. Banks use the FICO score to calculate the term of your loan, which is based on your credit rating and your current level of income. If you have a good credit rating from CBS, banks will offer you a higher home loan quantum (amount), competitive interest rate and decent loan tenure. But if you have a poor credit rating (e.g. CC and below), the bank might involuntarily lower your loan quantum, increase your interest rate or shorten your loan tenure to protect their interest. Cars, credit cards and any forms of loans will not only affect your credit rating, they will also affect your maximum loan amount. Why? This is because Monetary Authority of Singapore (MAS) introduced the Total Debt Servicing Ratio (TDSR) to help Singaporeans manage their debt. The TDSR states that you cannot have debt obligations that exceed 60% of your monthly income (combined if you are married). This means that if you have existing loans that you have yet to clear, they will be included in the calculation of your TDSR. This will affect how much you can borrow on your new home loan. Banks like to do businesses where they know that they have a high likelihood of making a decent profit. In home loans, banks face the risk of default from you as a lender. Thus, in order to increase the probability of making a profit out of your loan, banks have a preference for lending to someone who is duly employed. When you are duly employed (and for some years), banks have higher confidence that you will be able to continue repaying your home loan. However, even if you are duly employed, you also have to look out for being identified as a job hopper. Yes, that’s right. It’s not just HR that identifies job hoppers. Banks do that too. This is because if you do not stay long in a job, banks are uncertain whether you will be gainfully employed in the long run. Banks view job hopping as early warning signs that you can’t work with people, have bad working attitude or simply can’t be gainfully employed for long. As a rule of thumb, having two years of experience in the same company would be ideal. It helps you exhibit your commitment to your job and also gives banks confidence that you will stay gainfully employed in the long run. Read also: CONDO BUYER’S GUIDE PART 1: HOW MUCH DOES IT COST TO BUY A CONDO IN SINGAPORE? As Singaporeans, we have a habit of making sure that we get the best deal in the market. We want to make sure that we are not getting “ripped off” by consultants who might not be giving us the best deal, be it credit cards, home loans or car loans. So, we go around the banks and enquire about loans through different consultants. But did you know that this can affect your home loan application? The consultants that you have engaged with would have pulled out your credit report from CBS to help you do a thorough loan profile analysis. However, with so many credit report requests in a short time period, banks will identify you as a credit hungry lender. From the bank’s perspective, they would be wondering why you are making so many enquiries for credit. The most logical explanation would be that you are credit hungry, regardless of whether this is really the case or not. I sue you till your pants drop. This is the often heard comment of some cocky rich bastards. Unless you are the ruling elite in your respective country, suing someone is not a good idea unless you absolutely have to do so. What is worse, the huge cost of litigation, the court fees, the lawyer’s fees and so on. You get the drift. What is even more annoying, it is how long these lawsuits get dragged on, sometimes it goes into the years with court summons and appearances, one after another. Often the lawsuit gets dragged on and there is no indication of how long it will take and how much it will cost. And if you lose the case, you may end up with hundreds of thousands of debt and in many cases millions. Why will banks not lend you if you have a pending lawsuit? This is because the bank is not sure how this lawsuit will affect the ability to repay the home loan. If you are buying a HDB flat, you may want to read up on CPF grants here. We understand what it feels like to be going through multiple consultants to get the best loan deals in the market. Thus, at iCompareLoan, we help you streamline the loan hunting process. We help you analyse the most suited loan package from the universe of loan packages that are offered by the banks in Singapore. All you have to do is to contact us, a Mortgage Broker here. The post Home Loan – 5 Things That Can Affect Property Buying appeared first on iCompareLoan Resources.